Bridgnorth Rowing Club, the oldest sporting organisation in Bridgnorth, occupies ‘The Maltings’ on the edge of Severn Park. The Rowing Club can trace its roots back to 1865 when we hosted a competition between Shrewsbury School and Cheltenham College. Both of these schools still support our annual regatta to date. The Club went into decline in the 1920s and was disbanded in 1924. It was reformed in 1953 by a local policeman, Constable Bill Williams with the help of a Bridgnorth doctor, Dr E.L. Rhodes, a former University blue and club president until his death. The clubhouse was originally a Nissen hut, which had been donated by a Broseley farmer. Other local rowing clubs showed their support by donating boats and other equipment and the efforts of the club members and supporters ensured many successful and supported regattas. The club achieved notable successes in the 1960s when four members won a novice event at Nottingham before going on to capture several more trophies. One of the group, Mike Dunn, went on to win two gold medals in a world championship veterans event. Bridgnorth Rowing Club then went through a lean period until 1984 when a group of enthusiasts got the club ‘back on the water’. 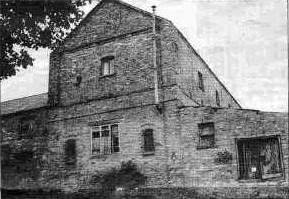 The club purchased ‘The Maltings’ in 1983, but it was a further 10 years before the development of the site could be started. 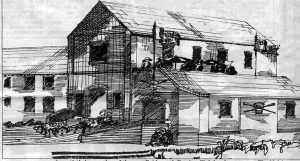 In 1993 work commenced on ‘The Maltings’. Club member Richard Holt (Architect) redesigned the building and much of the site preparation (including removal of steelwork) was carried out by club members. The boathouse now consists of a large ground floor area with racking areas for single sculls and doubles, fours and an eight. There is also a raised area that houses the indoor rowing machines (ergometers) and weights gym. Upstairs there are changing rooms with hot showers and a club room with a bar and a balcony overlooking the River Severn. In 2005 the club room has been refurnished and modernised. Club members also rebuilt the longer landing stage at the end of 2005 in preparation for the 2006 Regatta. Work is ongoing on the boathouse and the Club has regular events to raise money for new boats and other equiptment. Bridgnorth Rowing Club has entered the Head of the River Race on many occasions including 2007 (event cancelled), 2006, 2005 (207th), 2002 (140th), 2001 (159th), 1998, 1997 (158th), 1996 and 1991. We also entered a coxed Women’s crew and a coxless Open crew in the Head of the River Fours in 2004. In 1991 we had a coxed pair complete the Boston Marathon. An achievement in itself! We have had crews compete at Henley Royal Regatta in 2005 (Wyfolds), 2001 (Silver Goblets) and 1991 (Queen Mother Challenge Cup). In 2003 we had our first ever entry to Henley Women’s Regatta, in the Lightweight Double event. Finally, in 2002 we entered a VetB VIII in Henley Veteran’s Regatta. My name is Vicky and I work for Joule’s Brewery – we have just taken over the Shakespeare with plans to create it into a fully fledged Joule’s Taphouse in the August- November 2017. We’re looking to link up with the local community and create partners, I was wondering if you had any sponsorship opportunities for us? We certainly do have some upcoming opportunities for sponsorship and would really appreciate you doing so. I shall pass on your email address to the relevant contact and I am sure they will be in touch ASAP. Please would you advise the minimum age a child must be in order to start learning to row at the club? I wondered if could interest you in a product I make here in Oxford, England. A ¼ scale rowing oar plaque that can be airbrushed in custom club colours. The paddle being made from steel can be cut to the shape that mimics the style used by your club and in either stroke or bow side. The oar shaft is made from carbon fibre and tapered just like the real thing and the handle is made from maple wood. The collar and sleeve components are machined from delrin. The oar is mounted on a hand oiled solid English oak board measuring 102 x 14.5cm x 1.8mm. There is room beneath the oar for a metal engraving plate I can provide with artwork such as club crest and crew details etc. More details can be found on my website, details below. If this kind of thing is of interest I would be delighted to hear from you. Hi, I’m looking to join a rowing club that offers rowing, canoeing and kayaking. I guess my aim is to learn, go with other rowers and on my own when ready. I have some experience but limited. Hi, My wife recently cleared out her recently deceased aunt’s house and came across a beautiful silver watch in its original box. The box has the inscription ‘Bridgenorth Amateur Regatta 1886’ with the initials ‘W.H.’. Can you throw any light on its provenance from your records? She cannot think of any relation with the initials ‘W H’ and is curious as to how it arrived in Dun Laoghaire, Ireland. I am a member of Stourbridge Running Club and Race Director for our race Bridge’ to ‘bridge via ‘port. This is a 34 mile race from Bridgnorth to Stourbridge along the River Severn & Staffs & Worcs Canal that can be run solo or as a relay team of up to 4 runners. Last year was the first running of the event and was a resounding success. Running along we encountered some rowers who asked about the event and enquired about doing it next time we run it. We will be hosting the race again on Saturday 22nd September and I am writing in the hope that you may be interested in entering a team (or two). There are prizes for various categories. I am also writing to other clubs and if possible was hoping to add another prize category – First Rowing Club. Please let me know if you are interested or know anyone that may be. The BBC programme Escape to the Country today (19/11/2018)reminded me of my time at RAF Bridgnorth in 1960. The picture featured of four oarsmen outside the old BRC building was, in fact, the RAF Bridgnorth A Crew who enjoyed using the facilities in April/May. Competing in the RAF Regatta at Hereford in May. I still have the programme. I am second from the right, cox Charles Barling and coach Flight Sergeant Evans. We are planning to run a Learn to Row course in April, as the river will be more predictable by then. I will pass your email address onto our Learn to Row coordinator so that you can be emailed with further details as they are released.